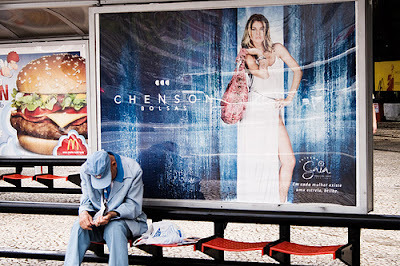 SÃO PAULO, Brazil — Imagine a modern metropolis with no outdoor advertising: no billboards, no flashing neon signs, no electronic panels with messages crawling along the bottom. Come the new year, this city of 11 million, overwhelmed by what the authorities call visual pollution, plans to press the “delete all” button and offer its residents an unimpeded view of their surroundings. But in proposing to transform the landscape, officials have unleashed debate and brought into conflict sharply differing conceptions of what this city, South America’s largest and most prosperous, should be. City planners, architects and environmental advocates have argued enthusiastically that the prohibition, through a new “clean city” law, brings São Paulo a welcome step closer to an imagined urban ideal. As you might guess from the title of this site, I have a somewhat ambivalent relationship to advertisements, but this seems like an amazing, almost revolutionary idea, at least to this American.